For my inaugural cupcake I decided to go with something simple but delicious. 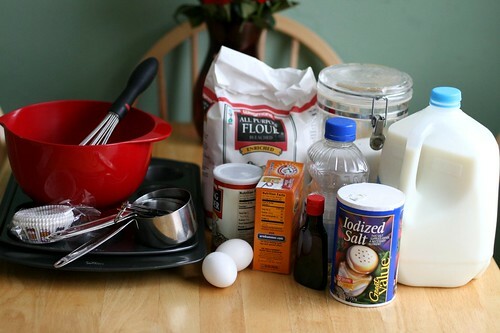 The cake recipe is the one my family has used for years and years and years. 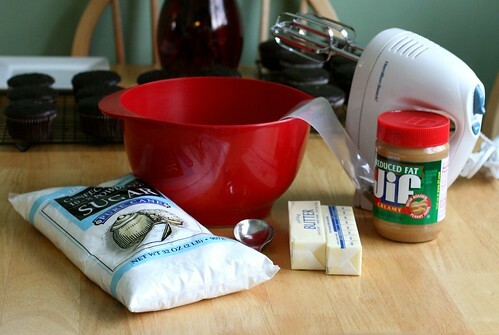 It’s so simple and moist, you really can’t go wrong with this recipe if you’re looking for a great chocolate cake. For a long time I had idea it wasn’t a family recipe. In fact it’s Hershey’s! I still have my hand written recipe on an index card even though it’s readily available on the back of any Hershey’s box of cocoa. Then add everything but the boiling water. It will be very thick but have no fear, when you mix in the boiling water it will be significantly thinner. 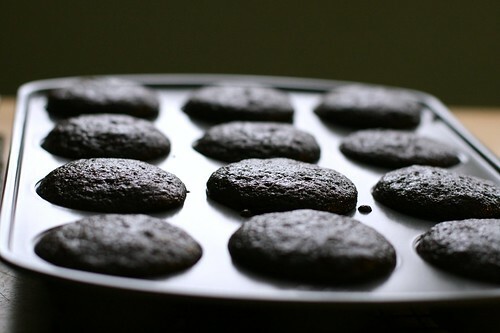 It will start making bubbles as the boiling water starts the cooking process so make sure you have your cupcake tins lined with paper before you add the water. 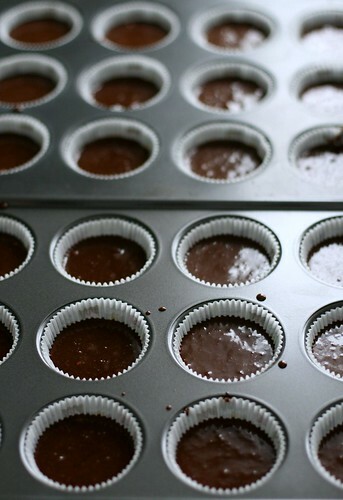 I let mine cook in the tins for a while and then removed them to a cooling rack until completely cooled. 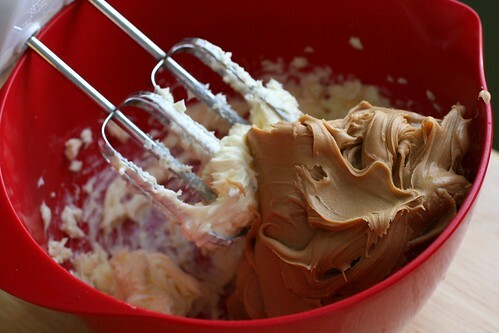 I know it seems a tad asinine to use reduced fat peanut butter when making a frosting. But old habits die hard, I always buy reduced fat anything if it’s available. FYI, this is very thick mixing. I found out the hard way when my beaters broke when I was almost done. One of the beaters completely stopped moving while the other one sputtered along until I managed to mix everything completely. 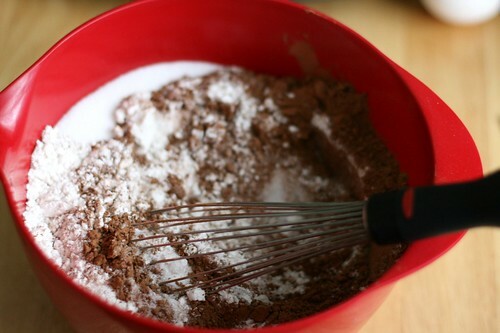 Normally when making butter cream frosting I mix until I can’t mix anymore confectioners sugar in and then I add the milk/cream. I took that approach this time. Take my advice, save your beaters, DON’T. Anyway, frosting. I’m kind of in love with my Wilton’s 1M frosting tip. It makes lovely swirls. Finished product! 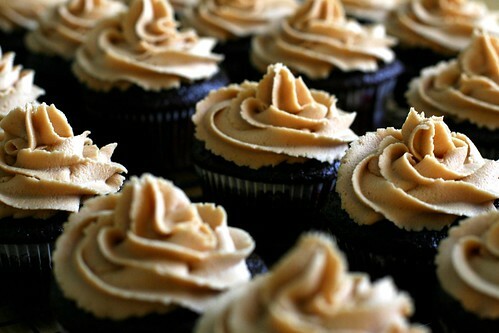 I topped each with a half of a mini Reese’s peanut butter cup. These got a thumbs up from my son! He had a hard time waiting until after dinner. 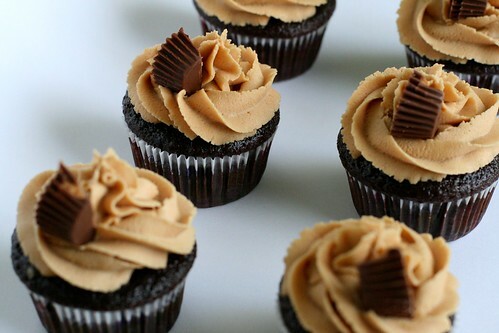 You had me until the Reese cup. I’ll skip that part. They are too greasy for me. But these are going on my OMGMUSTMAKE list. 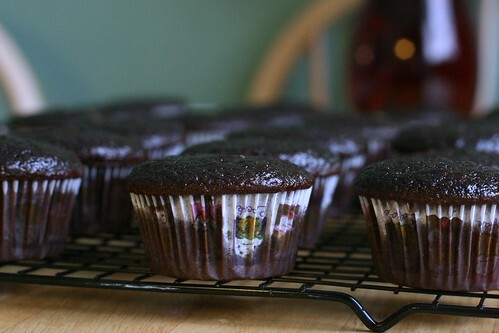 oh, how i want these cuppy cakes in mah belly now!